The huge mirror entirely taking up one side of the room reflected lines of women gracefully swaying to Wuzhen Opera music. Hu Hui stood behind them, watching their movements with a hawk eye, ready to correct any misstep. A former opera singer, she teaches younger women the latest moves in the genre after downloading videos online and learning them herself. She then makes little videos of her protégées as they perform, using her iPad to upload and circulate them among her WeChat groups. While no one would bat an eye at this in today's tech-savvy generation, it is remarkable in Hu's case. She is 78 and bought her first desktop just six years ago. Since then she has taught herself how to use it, before moving on to the Internet and social media. 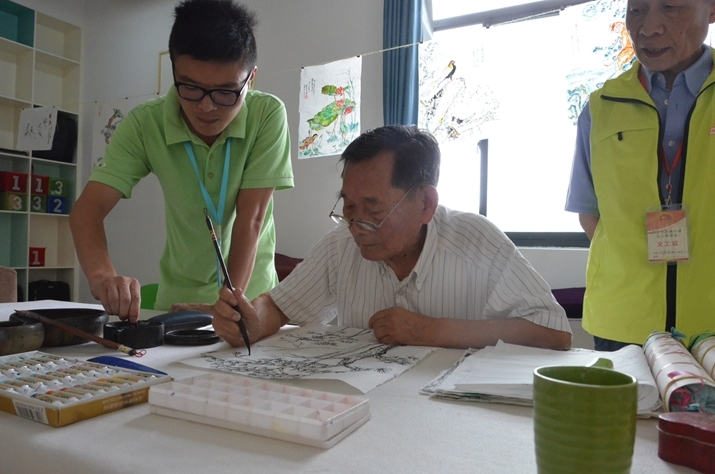 Now, the white-haired Hu is the oldest volunteer at the Wuzhen Smart Elderly Care Service Center, a public-service organization subsidized by the local government to introduce retirees and senior citizens to the magic of new technology so that no one is left behind in enjoying the fruits of progress. 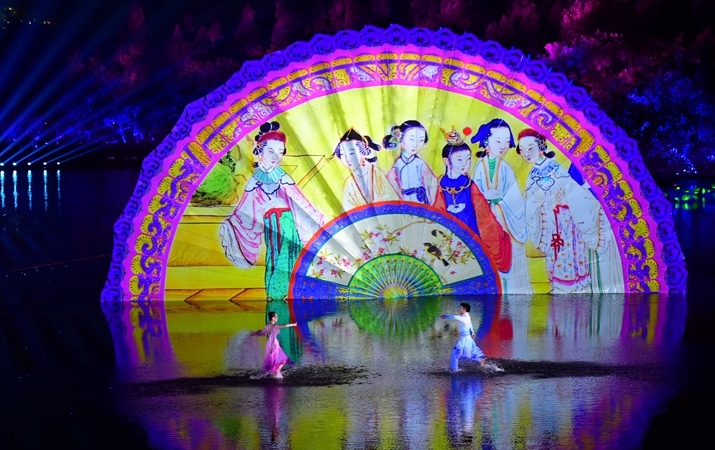 The center in Hangzhou's neighboring city, Wuzhen, was among the local sites the Chinese Government showcased to visitors from all over the world at the G20 Summit in Hangzhou, the first to be hosted by a developing Asian nation since the inception of the event in Washington, D.C. in 2008. It would have seemed an unusual choice but for the knowledge that time is fast running out for an aging world. According to the UN World Population Aging 2015 report, between 2015 and 2030, the number of people aged 60 years or over is likely to grow by 56 percent, from 901 million to 1.4 billion. Thus, population aging is an increasingly important factor for governments to keep in mind while pursuing goals on poverty eradication, health and productive employment for all. The Wuzhen Smart Elderly Care Service Center also simulates the pains of aging for visiting schoolchildren, giving them a first-hand experience of what it is like to struggle with a walking stick, failing vision and other age-induced infirmities. The reason behind this is for the children to realize this is something they will eventually undergo, and to encourage more empathy toward elderly relatives and other senior citizens. This is inclusion with Chinese characteristics. And at the Hangzhou Summit, China led the way, providing concrete examples of the Chinese way of doing things to bridge the gap between the enabled and the disadvantaged, the developed and the developing, and underlining the importance to all for a just and equitable social order. There were more eye-openers in the itinerary for visitors. The destinations ranged from the headquarters of e-commerce giant Alibaba in Hangzhou and China's first Internet hospital in Wuzhen, to small workshops that keep alive the traditional way of indigo dyeing and silk weaving. The former serves as proud examples of how technology can be harnessed to bring logistics and healthcare facilities to all, while the latter emphasizes the aim to encourage small enterprises and breathe new life into indigenous culture for a vibrant multicultural world. All this dovetailed with the theme of the Hangzhou Summit: "Toward an innovative, invigorated and inclusive global economy." 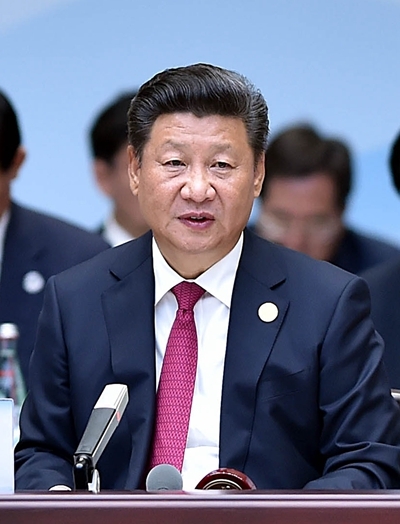 As President Xi Jinping stressed both at the inauguration of the two-day summit and at the press conference he held at the finale, "The G20 belongs not only to its members but the whole world… It should become a platform of cooperation, built through joint efforts, which delivers benefits to all... We should solicit proposals for improvement and heed the views of all countries, especially developing countries, so as to make the G20 more inclusive and more responsive to the demands of people of different countries." The call was taken up by the other members of the bloc, resulting in a communiqué at the end of the summit that affirmed: "Our growth, to be strong, sustainable and balanced, must also be inclusive. We are committed to ensuring the benefits of our growth reach all people and maximize the growth potential of developing and low-income countries." The very guest list at the G20 was a model of inclusion with a record number of representatives from developing economies. UN Secretary General Ban Ki-moon noted, "I have made many comments on the Chinese Government's such far-reaching and visionary and compassionate vision to have invited many more developing countries' leaders, for example the G77 (the coalition of developing nations) and… the African Union and the least developed countries (LDCs). And there are many small countries represented here." "This is in line with consistent Chinese policies to strengthen and to promote the South-South cooperation… We are now talking about the overall sustainable development where nobody, nobody among 7 billion people, will be left behind, regardless of their socio-economic status, regardless of their ethnicity, and whatever their differences may be." Naysayers had speculated that the South China Sea discord would be revived in Hangzhou, and a section of the media also made much ado over U.S. President Barack Obama's "chaotic arrival." But the summit rose above all differences, speaking with one voice to draft the Hangzhou Consensus, the package of G20 policies and action plans. As the communiqué said, "The choices we make together will determine the effectiveness of our response to the challenges of today and help to shape the world economy of the future." One such choice jointly taken by China and the United States, who have often taken differing views on global issues, was the joint ratification of the Paris Agreement on climate change. The two biggest economies, which are responsible for nearly 40 percent of global greenhouse emissions, agreed to play their part in reducing emissions and helping developing nations, moving one step closer toward transformative climate action. It was hailed by European Union President Donald Tusk, who said, "Before Paris, Europe was rather alone with our climate change policy. The ratification by the U.S. and China is for us a hope that we will no longer be alone." The Hangzhou Summit also saw China and India, often projected as competing economies, speak with one voice. Besides G20 membership, they are also both members of the BRICS association of the five emerging economies (Brazil, Russia, India, China and South Africa). The BRICS is another platform that can enhance ties and support the G20's inclusive goals. "It is very significant that the G20 Summit was hosted by a BRICS country with all BRICS leaders present in Hangzhou," said Alok Dimri, Joint Secretary of India's External Affairs Ministry's Multilateral Economic Relations division. Dimri said it was only the second time this had happened besides 2013, when Russia, another BRICS member, hosted the G20 Summit. To add to the significance, the Hangzhou Summit will be followed by the BRICS Summit in October. As the BRICS leaders met on the sidelines of the G20, their vision of development coincided largely with the Hangzhou Consensus. The theme of the BRICS Summit, to be held in Goa, India on October 15-16, is "Building Responsive, Inclusive and Collective Solutions." Indian Prime Minister Narendra Modi, echoed Xi, saying, "The India-China partnership is important not only for the two countries but for the entire region and the world… Our peoples also have the expectations that we make every possible effort to fulfill their dreams of progress, development and prosperity." These are common dreams that will be taken up by other groups after the summit. To facilitate the inclusive developmental visions of regional blocs, China brought several of them together. ASEAN was represented by its current chair Laos, Chad stood as chair for the African Union, while Kazakhstan was a member of the Shanghai Cooperation Organization. Bolun Li, the Yangon-based co-founder of Development Innovation Insider, an initiative to transform global innovations into local benefits, said he expected more inclusiveness. "Even though economic growth is a major topic for the G20, development for the least developed countries is also a hot topic they would love to address. The G20 will play a more positive role than before in terms of working together with ASEAN and reducing poverty. But it remains to see how the countries implement their agreements." The summit has emphasized that strong economic growth needs to be reinforced by "inclusive, robust and sustainable trade and investment growth." The G20 agenda toward a more stable and resilient international financial architecture therefore, is focusing on reigniting growth through innovation, combating corruption and tax evasion, and revitalizing International trade and investment. The communiqué said, "We note with concern the slow growth in trade and investment globally and commit to enhance an open world economy by working towards trade and investment facilitation and liberalization. We recognize the importance of economic diversification and industrial upgrading in developing countries to benefit from more open global markets." The G20 Strategy for Global Trade Growth will see G20 members implement measures domestically to lower trade costs, boost trade in services, enhance trade finance, and promote e-commerce development. "We also support policies that encourage firms of all sizes, in particular women and youth entrepreneurs, women-led firms and SMEs, to take full advantage of global value chains (GVCs), and that encourage greater participation, value addition and upward mobility in GVCs by developing countries, particularly low-income countries," the communiqué said. Besides its own detailed economic plans, which also include IMF quota and governance reform, as well as supporting a shareholding review of the World Bank achieving equitable voting power in future, the G20 is listening to a broad array of voices. The Business 20 Summit (B20 Summit), a significant part of the G20, saw business leaders from around the world make policy recommendations on the basis of opinions and suggestions gathered from the business community worldwide. The B20 committee said it has put forward 20 policy recommendations in four key aspects: breaking a new path for global economic growth, developing more effective and efficient global economic and financial governance, encouraging robust international trade and investment, and promoting inclusive and interconnected development. The voice of the people also includes Women 20, Think Tank 20 and Civil Society 20 as well as Girls 20, so that inclusiveness encompasses all. China already has strong cognitive voices from women and even young people—the call is for peace and development. There is also great pride in Chinese achievements and confidence that Chinese skills can be shared with developed economies for the betterment of the world. Xu Shidi, a 14-year-old in Hangzhou, said she would love to meet Japanese Prime Minister Shinzo Abe. "There are too many conflicts between China and Japan," the eighth grader said thoughtfully. "I hope both countries can coexist in a friendly and peaceful manner. I would like to tell the Japanese PM about Chinese culture so that the cultural differences between China and Japan may be bridged. I would also ask him about Japanese culture because it is very popular in China, especially with young people." Liu Xiaohong, a 39-year-old businesswoman who dabbles in stocks, had a proposal for Obama: "The United States is very strong in its economic development and it could teach us about its financial systems which are very well developed. I would like to suggest to Obama that he buy high-speed railways from China. High-speed railways are not so well developed in the United States. It is an example of what China could contribute to the world. That's the agenda of the G20 too, to learn from one another and contribute to the development of the world." The summit also saw a willingness to wage a united war on a global scourge: terrorism. "We strongly condemn terrorism in all forms and manifestations, which poses serious challenges to international peace and security and endangers our ongoing efforts to strengthen the global economy and ensure sustainable growth and development," the G20 leaders said. "We reaffirm our solidarity and resolve in the fight against terrorism in all its forms and wherever it occurs. We will tackle all sources, techniques and channels of terrorist financing… In confronting terrorism, we remain committed to effectively exchanging information, freezing terrorist assets, and criminalizing terrorist financing." The European Union lent its support to the call. "Terrorist attacks are a threat to all our countries," Tusk said, urging a comprehensive approach against "this challenge that no country can handle on its own."